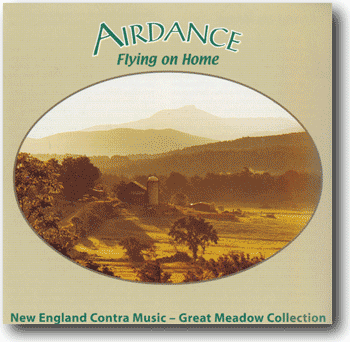 Airdance continues to explore the richness and diversity of New England dance music in this, their second recording. Elements of Celtic, French-Canadian and American roots music rub shoulders with more modern sounds in a unique blend that has delighted listeners and dancers across America and in Europe. Britain’s Folk Roots magazine lauded their first release saying “It’s extremely rare to find a band that can make dance music so great to listen to without losing some danceability, and this lot succeeds wonderfully.”.